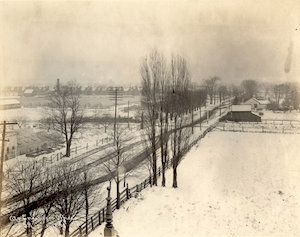 1905c City of Toronto applies to B.R.C. for order directing G.T.Ry. 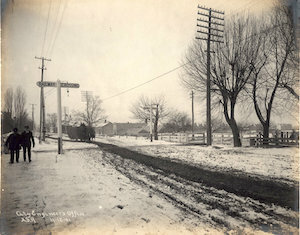 to protect Bloor St. crossing with gates and watchmen, night and day B.R.C. Application No. 15 . 1925-05-01 C.N.Rys. detail plans of Bloor St. subway approved B.R.C. order 36344 . 1930-03-05/1930-03-24 C.N.Rys. 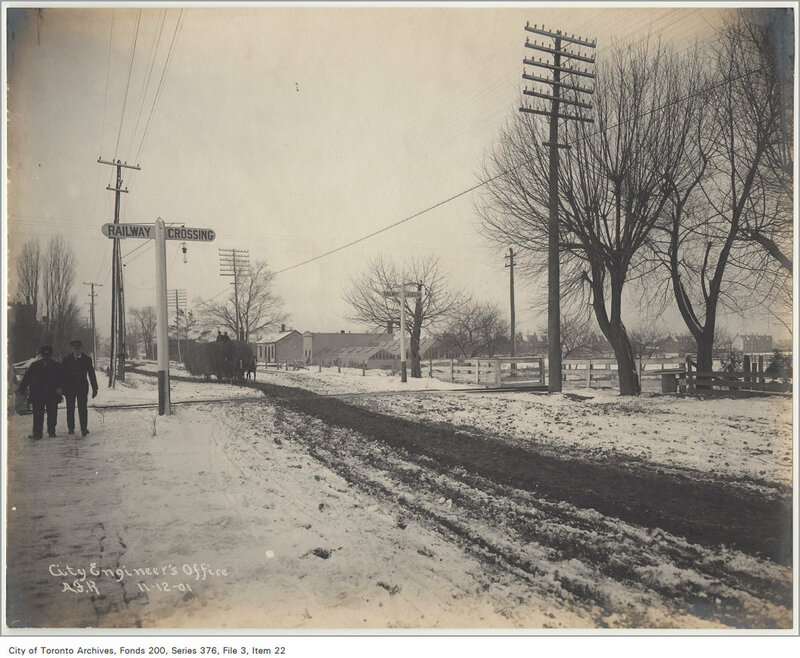 tenders for sale of brickware and vacant lot on east side of tracks north of the Bloor Street subway The Globe (Toronto), Friday, March 7, 1930, p. 19, c. 7 . 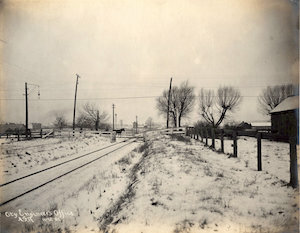 City of Toronto Archives, Fonds 200, Series 376, File 3, Item 22 View looking west towards Grand Trunk Railway/Northern Division crossing of Bloor Street West. 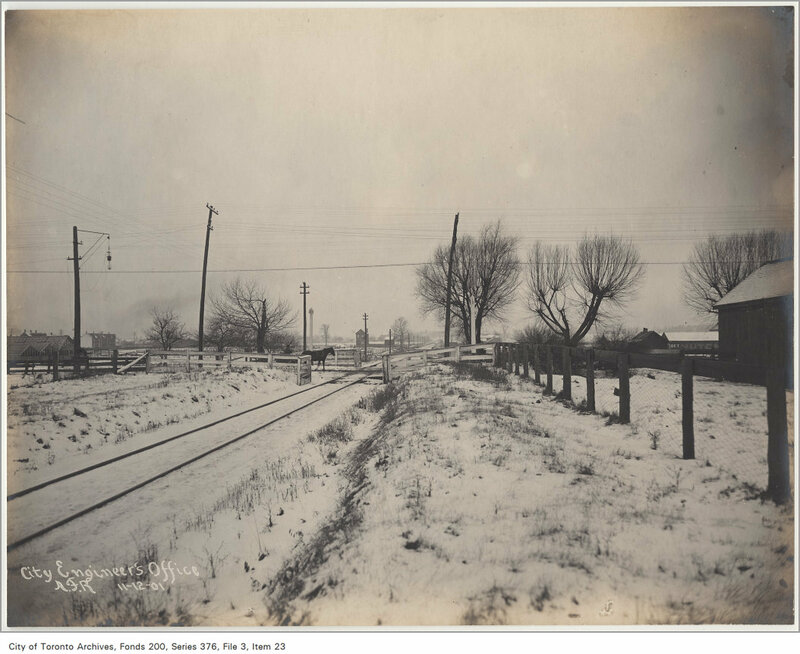 City of Toronto Archives, Fonds 200, Series 376, File 3, Item 23 View looking north along Grand Trunk Railway/Northern Division from Bloor Street West. 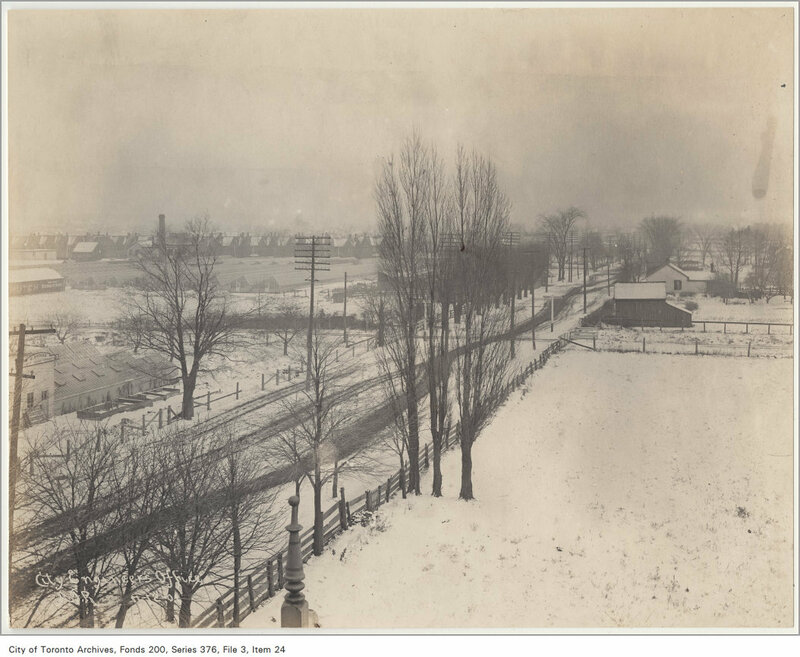 City of Toronto Archives, Fonds 200, Series 376, File 3, Item 24 Overlooking the Grand Trunk Railway/Northern Division crossing of Bloor Street West.